Glasgow University Labour Club and three trade unions have started a campaign pressuring the University to stop using controversial zero-hours contracts and atypical workers. A recent Freedom of Information (FoI) request, submitted by the Glasgow Guardian, has revealed the extent to which Glasgow University uses zero-hours contracts, which do not guarantee fixed hours of work. 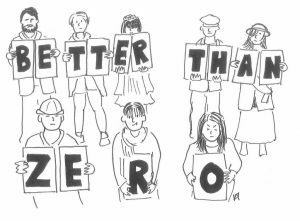 As of 19 August, there were 752 members of staff on a zero-hours contract, including 147 people working in academic colleges and 605 members of staff working in the University Services. The university also has a large number of atypical workers, such as Graduate Teaching Assistants (GTAs). Legally these workers are not employees of the University and they do not have the same protection as employees. The three main trade unions on campus, Unison, Unite and the University and College Union (UCU), met with the University on 11 October to discuss the possibility of getting rid of zero-hours contracts. Glasgow University Labour Club are supporting the action and are trying to also speak to staff members that are not affiliated with a trade union. They want to widen the effort to clamp down on the use of outsourcing and atypical workers, as well as those on zero-hours contracts.This action was taken after the Edinburgh University decided to stop using them for 2,712 staff members. Owen Mooney, Campaigns Officer for Glasgow University Labour Club, explained the reasoning behind the decision to campaign. He said: “Zero-hours contracts are disgraceful and exploitative and should not be used at Glasgow University. These contracts deny workers sick pay, holiday pay, and the ability to plan financially. The FoI request also revealed many staff members have been employed by the University on these contracts in the long term. Only 24 per cent of staff had been employed by the University for less than a year. 33 per cent of staff on zero-hours contracts had been employed by the University on them for five years or more. She feels that Graduate Teaching Assistants are not valued by the University’s administration and management teams. In her situation, the University only expect her to put in half an hour of preparation for each tutorial she gives and pay her accordingly. She said: “What does 30 minutes of prep time say about how the teaching of students is credited by the University? If I actually worked to task and did half an hours prep time, I would not have a credible lesson plan and the tutorial would not be of educational value to students. So I – and many other GTAs – do far more tutorial prep than we are paid for, and that is the university exploiting us. Staff employed on zero-hours must agree to be available to work despite no contracted hours. Their contract they must sign states: “Your hours of work will vary according to the University’s needs. It is a condition of your employment that you work flexibly in accordance with the working arrangements operated by the University. Accordingly, you acknowledge that there may be periods when no work is available and that the University has no obligation to provide you with any work or to provide you with any minimum number of hours. However, we will endeavour to allocate suitable work to you when it is available.